Valentine’s Day…probably the most polarizing holiday of them all. While I don’t hate it, I also don’t love it. I guess I’m indifferent, though I tell my husband to save his money and not buy me flowers that day. But I think that’s just my budget nerd coming out. Today I’m home enjoying a snow day and I just realized that the gifts I intended on buying for my hubby were still sitting in my cart. Oops! But that got me to thinking that I should share some fun, budget-friendly gifts for the travel lover in your life. Owner Derek Percoski is an avid outdoorsman and a lover of maps. But when he couldn’t find maps that he liked, he decided to make his own. Best Maps Ever has a variety of maps detailing National Parks, National Forests, ski resorts and more. The best part? Many of them have small icons for each location that can easily be pinned or colored in to show where you’ve been. I actually have this one hanging in our hallway. My favorite travel quote of all time. In fact, I have a similar print hanging in our living room. This listing allows you to buy and download the file immediately. Good for all those people who wait until the last minute. For book recommendations, you can check out what I’ve been reading lately. Otherwise, how about a subscription to Airbnb Magazine? For only $15 you can send your loved one a 1-year subscription to the magazine. I’ve mentioned that I’m crunchy granola, so it should come as no surprise that I don’t use conventional shampoos and conditioners. One of my go-to’s has been a bar shampoo from LUSH Cosmetics. It’s super easy to travel with as there are never any spills or leaks. Only going to be gone for a few days? Cut a small chunk off and throw it in your toiletry bag. Voila! After hearing horror stories about people losing their wedding rings on their honeymoon, Jon and I decided to leave ours at home when we went to New Zealand. While I felt like a fraud, telling people we were newlyweds when neither of us had a ring on, I knew it was better to be safe than sorry. After years of taking my rings off during “athletic endeavors” (yoga, hiking, biking, etc) and Jon leaving his ring AT the gym (this is after he already lost one while knee-boarding)…I decided it was time for a change. I originally bought us both silicone bands from Qalo for our anniversary. Now, almost 3 years later, Jon’s band is getting pretty shabby looking. Enter Enso Rings. They are in the same price range AND they offer a lifetime warranty on their rings. So Jon’s ripped band would be replaced for free. Pretty cool. They also have thin, stackable bands for women, which are definitely on my wish list. Right now both companies are having a sale for 20% off. I love taking a journal with me on my travels, but I’m not about to spend a boatload of money on one. Mainly because it’s likely it will never get completely used up, since I’m a notebook/journal junkie. 😉 I’ve had really good luck picking up a 3 pack of Piccadilly journals from Barnes & Noble in the clearance section, but I also thought these were fun and could be for a man or woman. Okay, can we talk about how cute this scarf is? I just love the arrows, the price point and that it comes in 9 different colors. But perhaps the best part is the secret pocket to store cash, credit cards, chapstick…whatever you want to keep on hand, without tying up your hands. We all know the sadness that comes along with ending a trip and heading back to work. So why not surround yourself with things that you love and that remind you of your adventures? Enter the decorative throw pillow. These linen compass pillow covers are sure to spruce up just about any home decor. You’re out on the go when suddenly your phone battery is about to die, but you’re nowhere near a wall outlet. We’ve all been there. Thankfully this handy little lipstick-sized battery pack does just the trick. One charge is enough to power up your phone again while you stay on the move. I’ve carried this in my purse for the past few years and I love it! Some people think gift cards are impersonal. I’m not one of them! I’d be elated to get a gift card from Airbnb to help cover some travel expenses because we all know I’m gonna travel! Simply sign up, select a design, pay online and your gift card will be emailed to its recipient. So there you have it. 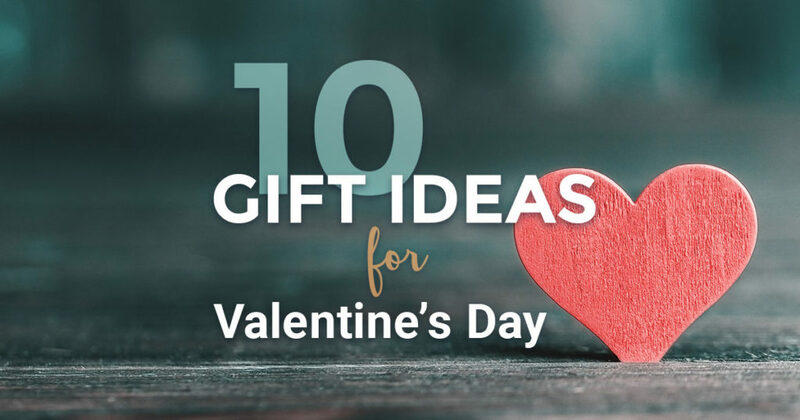 Ten budget-friendly gift ideas, for your special Valentine! Please note that while I provided a linked to these products, they are not affiliate links. I simply enjoyed curating a list of travel-related gifts, many of which can be delivered before Valentine’s Day. Happy shopping!